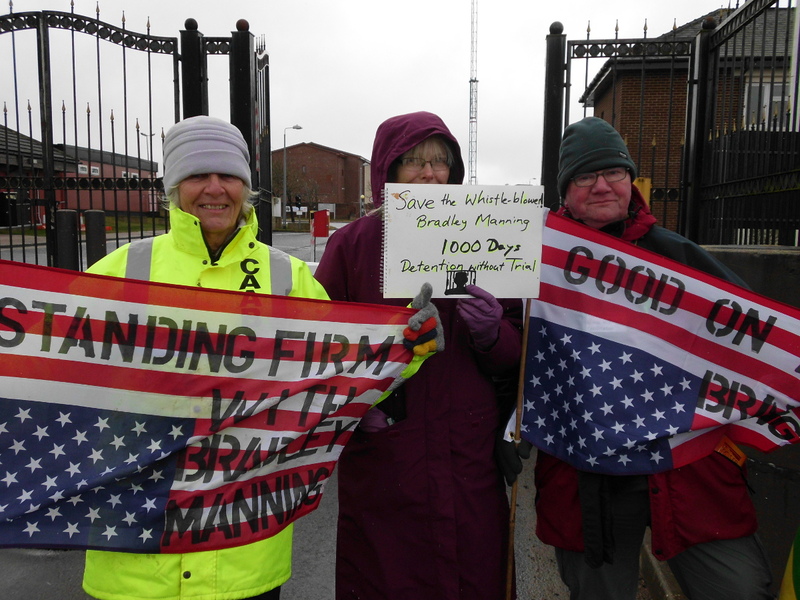 There is a witness and protest outside the main entrance to the American base at Menwith Hill every week (6 – 7.30 pm). This demonstration has been going every week for more than twelve years, and has in the past always been on a Tuesday. Recently however, MHAC have been changing the days. If you ae thinking of coming up, please contact Sarah: sswift64@gmail.com, 01765 600928. Menwith Hill is on the A59 Harrogate to Skipton road) and nine miles from Harrogate North Yorkshire.